ROCKVILLE, Md., 2018-Jul-12 — /Travel PR News/ — Choice Hotels International, Inc. (NYSE: CHH) has signed an agreement with Integrated Plankinton Milwaukee, LLC, an affiliate of Chicago-based Murphy Development Group (MDG), to develop the Cambria Hotel Milwaukee. 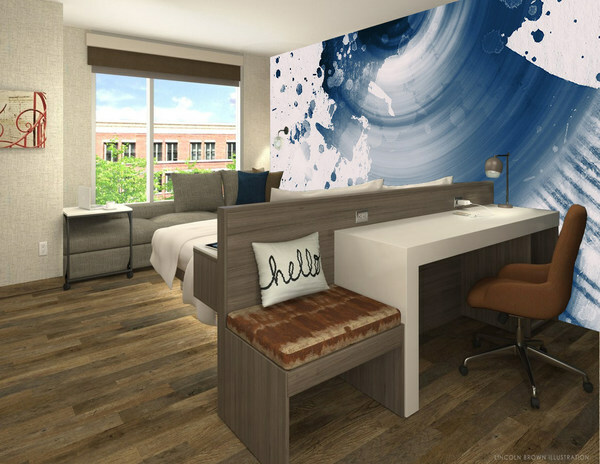 Expected to open in the summer of 2019, the hotel is the third property to enter the state of Wisconsin, joining properties in Madison and Appleton. The four-story, 132-room Cambria Hotel Milwaukee will be located at 503-521 N. Plankinton Avenue in the heart of downtown Milwaukee. The hotel is near some of the city’s major corporations, including WE Energies, Northwestern Mutual, Harley-Davidson, Aurora Health Care, and U.S. Bank. The property is also within walking distance to many attractions, such as the Frontier Airlines Convention Center, Bradley Center, U.S. Cellular Arena, the Milwaukee Public Market, the Milwaukee Public Museum, the Harley-Davidson Museum, Discovery World, the Milwaukee Riverwalk, and the Milwaukee Repertory Theater. This entry was posted in Hotels, Travel, Travelers and tagged Cambria Hotel, Choice Hotels, John T. Murphy, Mark Shalala, Milwaukee. Bookmark the permalink.